The United States Supreme Court is scheduled to decide Friday whether it will hear a case about a Border Patrol shooting in which an agent killed a teenaged boy who was standing in Mexico. The high court will decide whether it will hear the civil case involving the 2010 shooting. 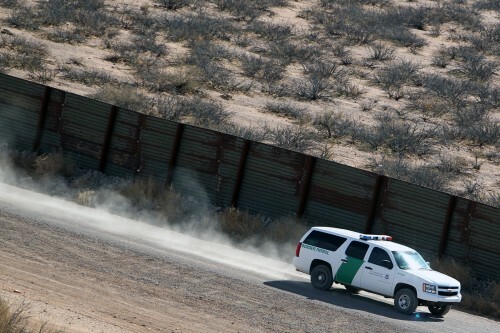 Border Patrol agent Jesus Mesa shot across the border near El Paso, Texas, and killed 15-year-old Sergio Adrian Hernandez Guereca after the agent was allegedly attacked with thrown rocks. The boy’s family sued the United States. Last fall, an appeals court rejected the family’s claim. It said the Mexican boy was standing in Mexico and so he was not protected by the U.S. Constitution. The Supreme Court will also decide if it will consider whether the agent is protected from civil lawsuits stemming from that case. This story was reported by Michel Marizco, in collaboration with Fronteras, The Changing America Desk, a consortium of NPR member stations in the Southwest. This entry was posted in KRTS News and tagged Border Patrol, Border Patrol Shooting, Courts, Fronteras Desk, Law, Law Enforcement, Mexico, U.S. Supreme Court. Bookmark the permalink.